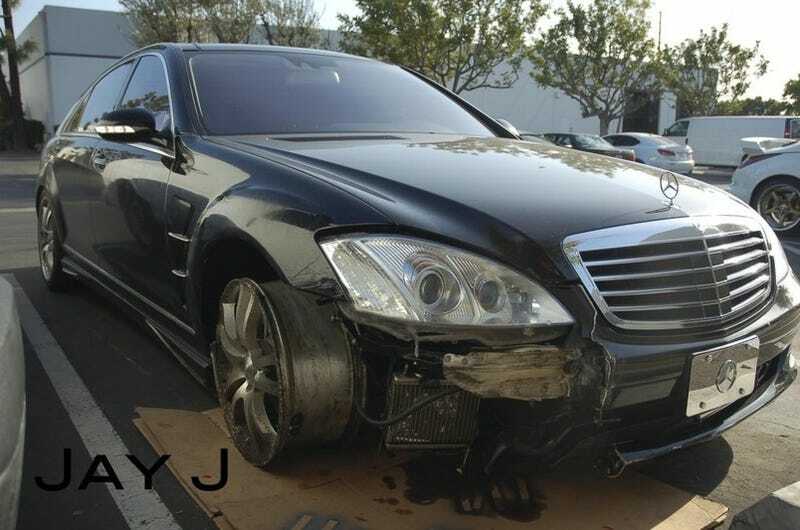 Word on the street is Queen Latifah's Mercedes decided it only needed three tires, a busted oil cooler and part of a front fascia. Looks like it got it's wish. Full pictures inside. These pictures were taken at VIP Status, where the Queen's S-class was lowered off a wrecker. No information exists regarding the crash besides what's evident in the images. The only thing we know for certain is that "Jay J" is a lover of drop-shadow watermarks. Step away from the Photoshop. Please.